Legendary psych-folk performer Linda Perhacs released her cult classic Parallelograms album back in 1970. Now, with the help of some modern experimental pop performers, she's putting the finishing touches on a follow-up effort. Perhacs's new LP is called The Soul of All Natural Things, and will arrive via Sufjan Stevens's Asthmatic Kitty imprint. Inspired by the documentary Inside Björk, along with the music of Milton Nascimento, which was introduced to her by Devendra Banhart, the album is said to represent a revived Perhacs. The album also sees the songstress collaborating with Julia Holter and Nite Jewel's Ramona Gonzalez. In a press release, Sufjan Stevens said, "Linda has a prophetic voice that speaks beauty and truth with the kind of confidence and hope that has been lost for decades." We get too far out of balance and we must find a way to get back to our polestar. I felt that people needed to be reminded of that. My music isn't just recreational, it's not just entertainment. I have a deeper purpose. My soul is giving itself to the people; I want them to be helped, I want them to be lifted. The Soul of All Natural Things will arrive on March 4 via Asthmatic Kitty. Check out the video for new song "Freely" below. 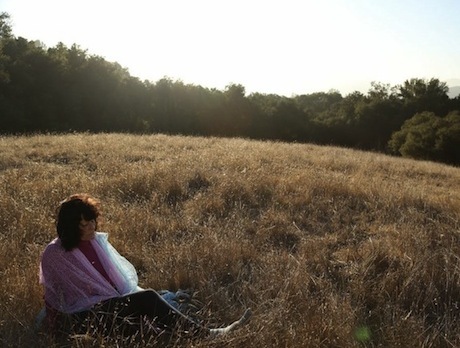 Linda Perhacs Gets Julia Holter and Devandra Banhart for New LP, Shares "The Dancer"